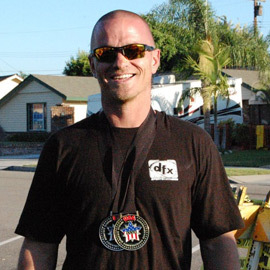 DFX Fan Jim Cowan competed in two national armwrestling events in 2011 and took home medals both times. In the 2011 USAA National Armwrestling Championships, in Las Cruces, NM, Jim competed in 4 classes, and 2 divisions. The other was the 2011 World Amateur Armwrestling Championships, in Buena Park, California.